These photos are from the backyard of our cousin's house. She had a little gathering last week and held it outside. As I was taking the photos I was thinking that these are probably the last photos of summer I'll be taking til next year. Isn't it great she loves the color RED? These are her coleus plants. 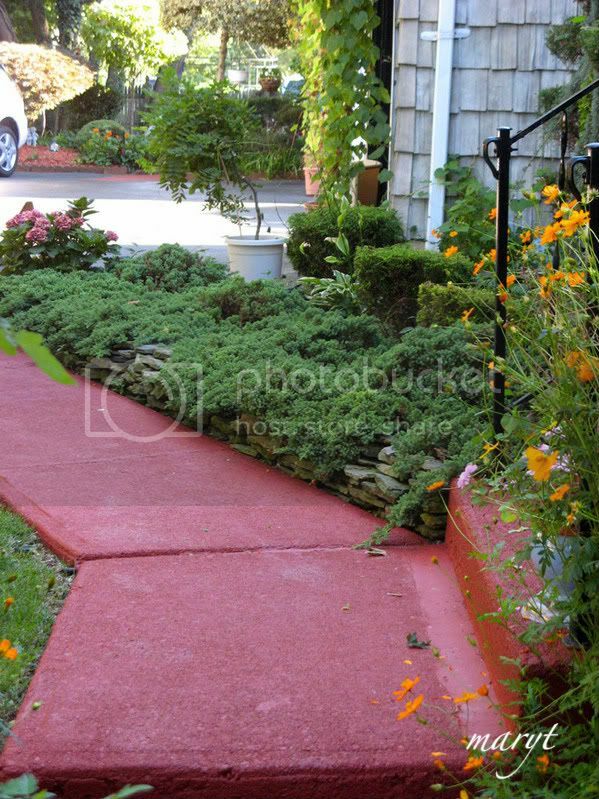 She loves RED so much she had her walkway painted RED! Don't forget to sign in to Mr. Linky and to visit each other during the week. Oh, and if you have some photos of trees that are changing color for Autumn (with some RED in 'em, of course.) feel free to post them! Hi Mary! I love that post box! And I saw that plant in the park last weekend and never thought of that:) Love the pathway! Hi Mary, these are very pretty. How about that red sidewalk. I have one of those too, but had something better for today. I called my sidewalk the 'red brick road'. It was of red paver bricks made chiefly for golf carts. Of course Adi will traverse that red road. And the red mail box is great too! 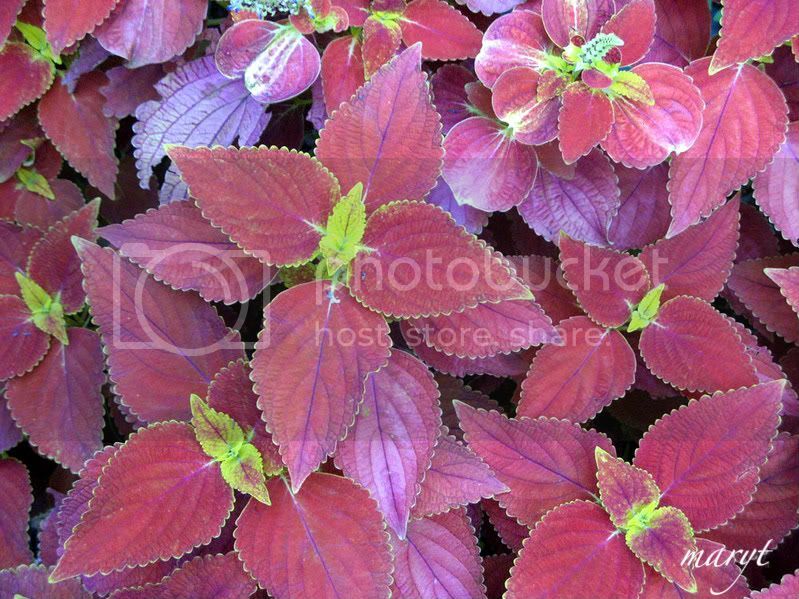 Those are truly cool photos -- I really love the Coleus. I have another two-fer this week (gotta love multi-tasking). I've combined R/T with this week's Thematic Photographic ("Angles"). I always love Coleus plants and have some in our window box. Red makes creates a nice warmth around a home. And yes, I have RED leaves! Mary, I love all the red. The sidewalk, postbox, and the plants. What a great Ruby Tuesday posting. I cherish the vague autumn sentiment over your niece reportage. Not the flaming red, but this hidden ones. Like the mailbox in within the green lilacs. It's great to be here again. Lots of red! Love the post box. I grew up with lots of coleus varieties in my Dad's garden in Sydney. And I have not seen a red painted pathway since I was a child! And then it was very popular! These are great Ruby shots Maryt. I really love the mailbox. Have a great Tuesday. I'm flying to LA from Seattle in a couple hours so I'll come around to ruby posts tomorrow. it is so nice when everything all matches. Isn't it fun to go about looking for red? Thanks for hosting Ruby Tuesday. Your red photos are great. Take care. I guess your cousin does indeed like the colour red! Happy Tuesday! That postbox is so beautiful! I love red walkways. They always remind me of playing outside Grandma's house. I posted my other Grandmother's kitchen for Ruby Tuesday this week. I feel so fortunate to still have both of my Grandmother's with us. The kids and I went Grandma vistiing this week. It was wonderful! Lots of great red stuff at her house. I like her walkway the best. Very cool! Lovely images - just lovely! You should know this meme is one of my highlights of the week! Love the red photos here! My first Ruby Tuesday entry here. I'll try to get some red trees next week, things are definitely turning here in New England! I love the post box the best too. 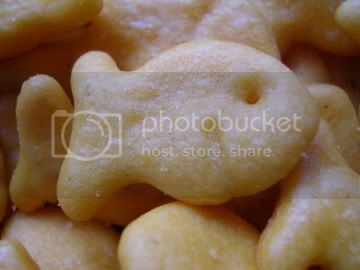 Nice photos, Teacher Mary. Now I know Coleus which is locally known as Mayana here in the Philippines is also grown in your side of the planet. OMG Love the post box. Great shots!!! The red walkway is my favorite - it seems to draw the green of the shrubs out. A worthy red to highlight! Your cousin's yard is gorgeous! I love the red walkway! super red themed garden indeed! Mine's up at Small Reflections, but I'll be visiting tomorrow afternoon when I return from class. I do love red. The red sidewalk is sooo cool. Wow, what an awesome post. Love the mailbox, sidewalk, all of it. Oh, I'm such a novie at this, but I'll have mine up early in the morning. The red mail box is really beautiful. My entry is up. Happy Tuesday! What beautiful red plants and walkway. And fortunate, yes, for you! My 1st entry for Ruby Tuesday is up. Nice touches. I even like the red sidewalk! 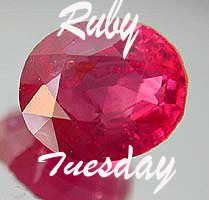 My Ruby Tuesday will be posted first thing tomorrow morning. the red pathway looks beautiful! Mine is posted already. Happy Tuesday! Greetings from Juneau (Alaska) Daily Photo! Red is a GREAT color. I look forward to seeing everyones photos. That is one of my favorite shades of red and you've managed to find so many things in that beautiful shade! I love all three photos!! That red mail box is lovely! And I like the red sidewalk! Man, I dunno if I'm coming or going these days! I posted my post and then completely forgot to come here and sign in. I was practically in bed when I remembered. LOL I think this must be that "getting old" stuff we hear so much about when we're whippersnappers. I like the red walkway. Neat idea. I also love red, but my letter box is green, lol ! Wow, beautiful mailbox, and I love the red sidewalk. I'm becoming a red maniac and a monochrome maniac. Okay, I finally figured this out. I was linking to an old post instead of the current blog roll of Ruby Tuesday participants. No wonder no one visited me! I'm still learning this blog thing, that's for sure. So I love this post. The red walkway is wonderful! Of course the coleus plants are great and the post box rocks. Red, red, red. Never too much red. This time I posted an old fave that has some red neon in it. I figure there will be enough time for autumn leaves later, as we are enjoying a very unusual Indian summer here in Seattle and the red leaf thing really hasn't begun. Just stopping in to see if we're over 100 participating in Ruby Tuesday! More than half way there and it's not even Tuesday on the West Coast yet! That was so cool last week!!! Love the post box but the Coleus always get my vote. Oops - on the other blog! Your cousin has a lovely garden. 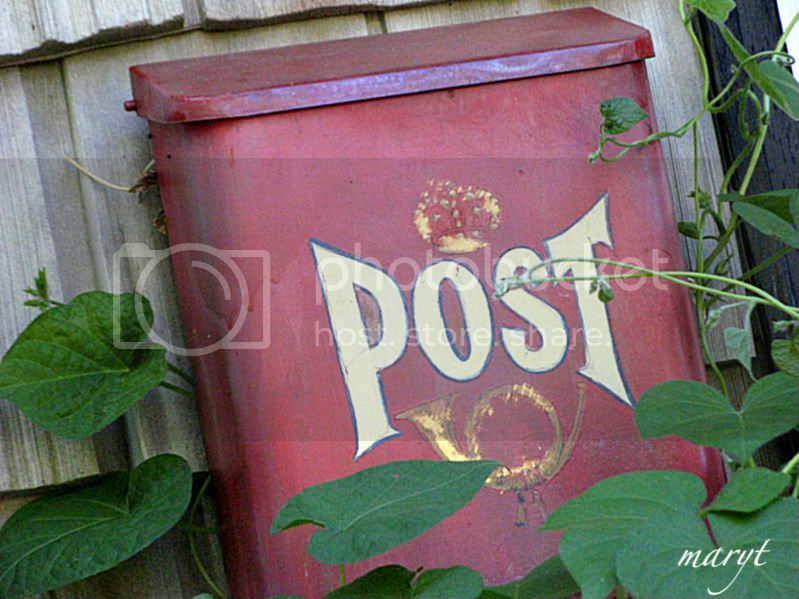 Is that morning glories growing by the mailbox? Great photos - love the mailbox! Wow, I sure would like a post box like that one, beautiful! I find myself looking for new rubies each week too, but today I have some more shots from Portugal, the rooftops of Lissabon to be more precise! See you! Excellent choices as usual, Mary - but you really REALLY got me with the neat ruby-red postbox. Red is my favorite color (who guessed it?!) and my postbox is rather boring, so this one would be perfect for me and the postman, who wouldn't fall asleep when delivering here. Love the color red. It's my favorite color. Just love that red sidewalk. 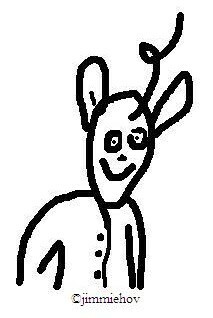 Just click on Ramdom Thoughts From Me and you'll go right there. Take Care!! What great pics Mary. I love old/unique postboxes, what a great one this is. Thanks for sharing!!! Dear Ruby Tuesday Lady...I love that red sidewalk so much! I wonder if any of your Ruby Tuesday friends live in Prince Edward Island? I have always had a longing in my soul to see a real live picture of the winding red roads that they have. My sister Betty went to PEI once but she was only interested in jumping into the ocean! She didn't get one picture at all of the roads! Thanks for inventing Ruby Tuesday! Ruby Tuesday sure is growing. Mary I like all the pictures but the Coleus and the sidewalk are my favorites. Good Morning!. I love that all three of these have the very same shade of red. Yhe post box is so cute. Oh Mary! I LOVE that mailbox! That is a treasure! The coleus are beautiful too... that is what I SHOULD plant across my whole yard! It's about the only thing that grows and I don't kill! I'm back to the real world now - and my RT is up! I have RED...and a little Tutleage too! Good morning Mary, I love your red sidewalk and all of your beautiful flowers and plants..Have fun today..
Nice red post box, Mary. I like how she painted the walkway red. Lovely coleus, too. Very pretty photos. Thanks for hosting ~ Happy Ruby Tuesday! Thank You for sharing and Happy Ruby Tuesday! I like the photos, but especially love the post box! What a pretty garden. I love that sidewalk. Maybe I should try growing things again. One year I kept some nasturtiums alive for a whole season. Lovely pinkish ruby colours this week! Follow the red brick road!! Your cousin's yard is lovely!! I'd love to have that mailbox, and I'll bet it's fun walking in on the "red carpet" sidewalk! Great shots. I love her red walkway. Beautiful! I was going to play today for the first time and then I remembered that I lost all of my photos when my computer crashed. Hopefully next week I'll have found the disks they are on and I can play along! I love the post box, wish I had one like that! The leaves are also so beautiful. Sure glad to have 'found' your Ruby Tuesdays... 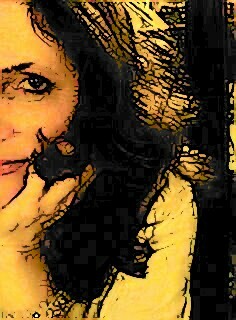 I'm fairly new at this blogging thingy, but am anxious to take part in this photo fun.